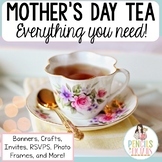 Mother's Day Tea - Invites, Crafts, Printables, Banner, Menus, RSVPs, & More! 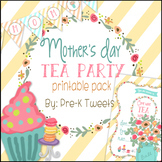 On this download you will get a teacup mother's day tea invitation. There are several different versions of the invitations. The rainbow circle behind the teacup moves in a circle once you have put a brad through the teacup and rainbow circle. 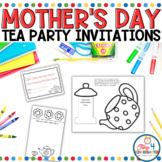 I used this crown and invitation for my Mother's Day classroom tea party. The return label was easy and the students loved making the crown for their mommas! 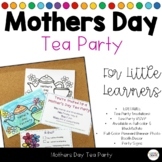 Use this cute tea cup invitation to invite parents to Mother's Day Tea! This invitation is in English and Spanish. 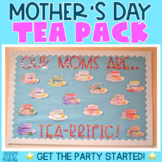 Have students color the tea cup, then cut out and fold the two sides of the tea cup together. 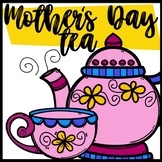 Mother's Day Tea Invitation Freebie! 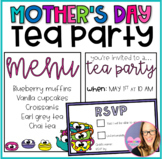 Mother's Day Tea Invitation Freebie! 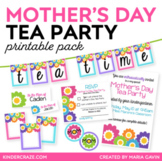 You can use this as a writing activity and let the kids decorate it with markers, watercolors, or crayons. Enjoy! 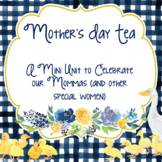 This is an updated version of my Mother's Day Tea Invitation. It still includes English and Spanish versions, but now also has a copy with "mum".